From Defense News: "The alliance has agreed to deploy fighters for quick-reaction alert duties until 2018, but a more likely date for a handover to local forces is six years after that, said the chief of staff at Siauliai, Lithuania's only military air base. 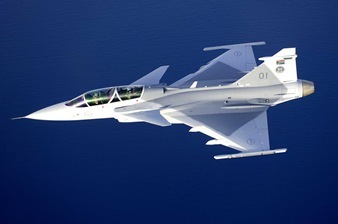 Work on building Lithuania's fighter capability would have had to start in 2006 if the 2018 timeline was to have been met, Lt. Col. Virginijus Steponavicius told reporters during a May 21 visit to the base." From Maghreb Arabe Presse: "NATO Assistant Secretary General for Political Affairs and Security Policy, Ambassador Martin Erdmann, commended Morocco's role at the level of its bilateral relations with NATO and at the regional level through the promotion of dialogue, cooperation and understanding between the Alliance and Mediterranean Dialogue (MD) countries." needed for both the NATO mission in Afghanistan and the EU mission in Chad in early 2008. '[It] turned into a beauty contest between NATO and the EU,' Mr. Whitney said." From ITAR-TASS: "The Wednesday meeting of the NATO-Russia Council will be the second after the resumption of its work (April 29) after the South Ossetian conflict. According to Rogozin, “the weather in our relation is far from summer.” This situation has been aggravated “by the absurd decision of the Alliance to expel two Russian career diplomats and its stubborn desire to conduct, in spite of everything, its manoeuvres in Georgia.”"
From Baltic Review: "Czech pilots of the Jas-39 Gripen fighters who have protected the airspace of Lithuania, Latvia and Estonia within NATO since May were used for the first time on Thursday, spokesman David Schreier from the command Air Policing told CTK . From washingtonpost.com: "Retired generals and nationalist politicians have accused Medvedev and Prime Minister Vladimir Putin of scaling back Russia's military ambitions by essentially giving up on trying to maintain an army capable of confronting NATO." Is NATO disrupting Russia 'reset'? Controversial statement by Edward Lozansky, the President of American University in Moscow. From Washington Times: "Russia contributed more to the defeat of the Taliban than any other U.S. ally, including NATO members." From Xinhua: "NATO's decision-making North Atlantic Council on Monday strongly condemned the nuclear and ballistic missile tests by the Democratic People's Republic of Korea (DPRK) on the same day. 'These irresponsible actions by Pyongyang pose a serious challenge to peace, security and stability in the Asia Pacific region and are being universally condemned by the international community,' said the council in a statement." The insightful Josef Joffe carefully weighs the benefits and costs to both NATO and Israel for proposed membership in the alliance. His analysis is a sharp contrast to the superficial level of discussion about the merits of other nations joining NATO. Too much of the current argument for NATO enlargement relies on the use of alliance membership as a deterrence to war. When alliance membership is joined with other forms of deterrence, e.g., nuclear weapons, joint force deployments, reinforcement infrastructure for prolonged defense, political cohesion, etc., this can work as it did in the case of West Germany during the Cold War. Joffe sheds valuable attention to this case in his analysis. When alliance membership is relied on as the primary form of deterrence, it leads to World War I.
Joffe also highlights a question that is often ignored because it is politically difficult to answer, "does NATO want to have to fight [insert name of potential member here]'s wars?" It might very well be in NATO's interest to fight Freedonia's next wars, but the alliance should not offer the commitment of Article 5 until it is clear with itself and its citizens that the new ally is an essential (because of shared national interests) and responsible (because of quality of governance) trustee of NATO blood and resources. From the Begin-Sadat Center for Strategic Studies: "Any alliance must crack the classical dilemma between abandonment and entrapment. Preventing abandonment in the hour of need calls for maximal entanglement, which makes sure that my partners will fight on my side when I am attacked. Entrapment poses the opposite imperative: I do not want to be drawn into a conflict that are not my own. Now assume a rational, even-handed NATO leader. Would he want to get himself in a situation where he had to fight Israel’s wars? . . .
From Civil Georgia: "Robert Simmons, NATO’s special representative for South Caucasus and Central Asia, received from the Georgian government in Tbilisi on May 25, the country’s Annual National Programme (ANP). The document, which is not public, is, as NATO diplomat said, “a roadmap” for Georgia’s eventual NATO membership."